Above: A precocious sugar maple on September 8 at LEAFFEST HQ. 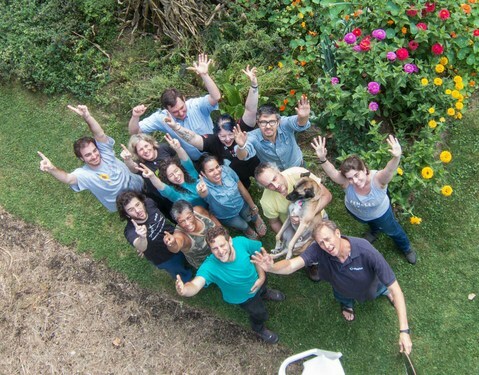 WHAT: An annual Public Lab meetup to refine and test DIY tools and brainstorm new ones. WHEN: September 29 to October 1 (Friday, Saturday, and Sunday). WHY: Because posting a LEAFFEST research note is a badge of honor. This is the sixth annual LEAFFEST. Public Lab Organizer Chris Fastie will be hosting the gathering. Thank you Public Lab for supporting the event again this year. There is no charge for attending LEAFFEST. Everyone is invited. All food will be provided and there are lots of places to set up a tent or otherwise crash. There is not yet an agenda for LEAFFEST. Activities will depend on what YOU bring to work on, demonstrate, and try out, and we will post updates if some appropriate themes emerge. We always try to get some cameras in the air and there will be lots of new projects to hear about. Since LEAFFEST 2016, Chris has developed three data logging devices based on Arduino (see the last 20 research notes here), so he could be compelled to describe what he has learned about DIY environmental data logging. Tours of the KAPtery, where environmental science kits are manufactured and distributed, have become a regular feature of LEAFFEST. Above: Some LEAFFEST 2016 participants take a big selfie. There are 46 research notes at Public Lab tagged LEAFFEST. As always, a goal this year will be to surpass our annual record of 13 notes from 2013. We are brainstorming activities here. Ask questions in a comment below or at the Public Lab Northeast Google Group. I heard @rgstatic may be coming too! That's really good that @rjstatic may be coming. And it's really good that registration is still open. Gotta know soon how many there will be.